Greatness doesn’t always require reinventing products to be more “Pro Gate” in nature. When it is required, of course, we get about it. But sometimes, we find already-in-progress products that help our customers do their thing more efficiently. Enter the BMX Starting Gate Compressor, by DeWalt. It’s an all-in-one solution to running your air game at the track, and is beefy enough for whatever moto count you want to throw at it. 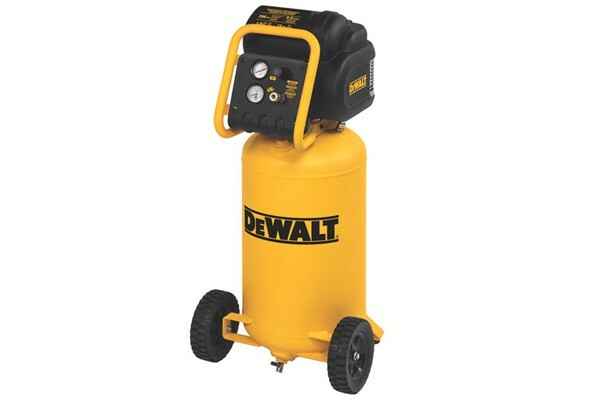 High pressure motor allows the compressor to be run with an extension cord (12 Ga. or heavier, 50 ft. or less) due to consistent amp draw requirements of the compressor. Compact design allows for the compressor to be easily moved, then stored after the gates stop dropping. Wide track, semi-pneumatic tires are pretty moto, and allow for a no-flat lifecycle.